What is a Welcome Letter? - Sonal J. Shah Event Consultants, LLC. What is a Welcome Letter? 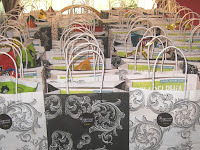 Welcome bags have become a major part of destination weddings but they can useful for your out-of-town guests as well. The welcome letter is an essential component of the welcome bag. Many of my brides have asked me to help them put together a welcome letter. Have you ever wondered what goes into the welcome letter? It can be a simple 1 page letter thanking your guests for being a part of your big day with information regarding events of wedding or it can be more elaborate like a booklet with information about the hotel, the area, in addition to the events of the wedding. Here’s what a detailed welcome letter would contain. 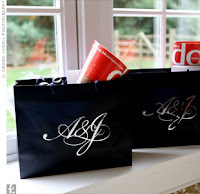 Here are a couple of examples of welcome bags.